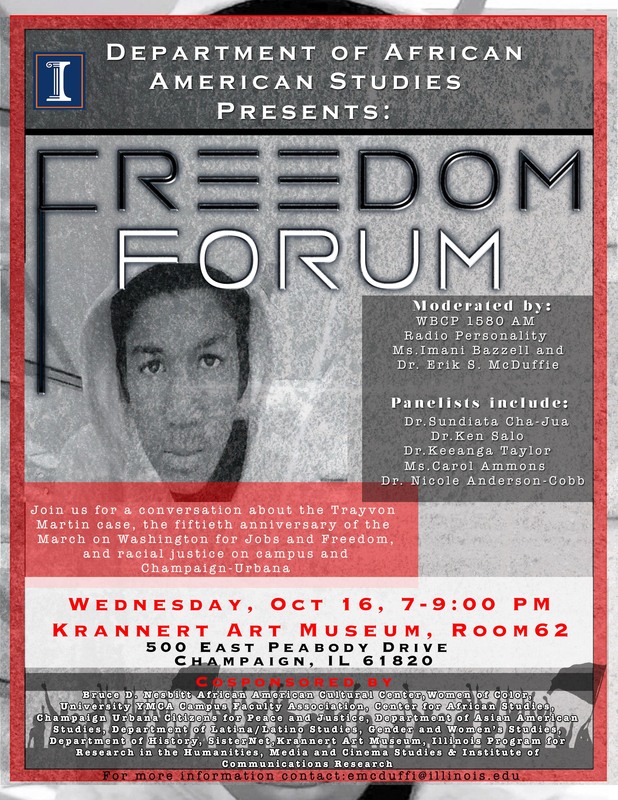 Join us for a conversation about about the Trayvon Martin case and the 50th anniversary of the march on Washington. The Freedom Forum is hosted by the Department of African American Studies. The Campus Faculty Association (CFA) is a co-sponsor of the event. Dr. Erik McDuffie and Ms. Imani Bazzell.